Bruce M. Rotfeld has been working as a Philadelphia attorney for the past 35 years, representing individuals and families in cases ranging from Medical Malpractice to automobile accidents. We handle all types of personal injury and general litigation matters. Having over three decades of successful legal representation is a significant strength and attribute unique to this firm. My philosophy is that anyone with a case of merit should be represented by an attorney. 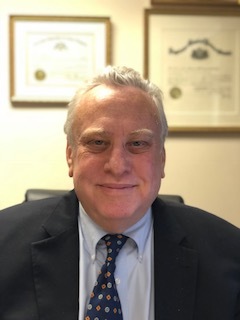 Bruce M. Rotfeld has an advanced degree in law, which he received in 1997 by completing his Master of Laws in Trial Advocacy (LL.M.) degree at Temple University Law School. Mr. Rotfeld's extensive experience as an attorney is expressed in many client testimonials such as these: "Mr. Bruce Rotfeld has represented me for two injury cases and each time he was able to get me more money than I expected. I recommend Mr. Bruce M. Rotfeld to anyone that is hurt in an accident." - D.B. "Another law firm dropped me as a client and told me I did not have a case. Afterwards, I was told about Attorney Bruce Rotfeld who took my case, proved that my injuries were caused by the property owner, and got me more than I imagined. Attorney Bruce Rotfeld fought for my rights and I would recommend him to anyone that is injured." - R.T. "I had limited tort and was in a minor car accident before coming to Mr. Rotfeld for representation. He knew the law and used it to my advantage against the other side. Everyone who is injured should have Mr. Rotfeld on their side fighting for their rights." - J.G. "From my initial meeting with Bruce Rotfeld to the close of the matter I sought legal advice for, I knew I had made the right choice. I was referred to Mr. Rotfeld by a close friend and I will be forever grateful to him. Mr. Rotfeld is a true professional who 'patiently listened' as I described a situation that had to be resolved. Mr. Rotfeld knows the law and explained in detail how we would proceed. If you want an assertive and knowledgeable attorney, call Bruce Rotfeld." - H.C.
Bruce M. Rotfeld P.C. is a certified federal arbitrator, and has served for many years in the Court of Common Pleas, as well as a Judge Pro Tempore.